Pamela studied at the Royal College of Music and now combines her duites at Bristol Old Vic Theatre School with a busy singing life. She has a wide repertoire from early to contemporary music, singing opera, light opera, oratorio, recitals and concert work, performing in concert halls, theatres and cathedrals throughout the OK and also in France, Germany, Holland, Zimbabwe and Mali. Pamela sings as a soloist with UK orchestras in works such as Elgar’s “Sea Pictures”. Pamela is equally at home on the operatic stage, playing roles ranging from Mrs. Herring in Britten’s “Albert Herring” to Suzuki in Puccini’s “Madame Butterfly”. In recent years she has become more involved in chamber opera, playing roles like Madame Popova in Walton’s setting of Chekhov’s “The Bear” and most recently creating the role of Marie Coulette (a formidable pipe-smoking granny!) in the world premiere of “A Foreign Field”, an opera by Eric Wetherell for which she achieved much critical acclaim. Pamela has worked as a soloist on Radios 3 and 4 and on TV. 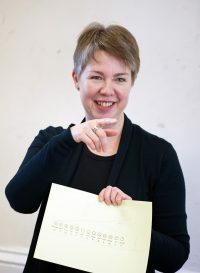 She adjudicates for Festivals and runs vocal workshops and singing courses for theatre companies and singing groups in Switzerland, Cyprus, Glasgow, Norwich, Warwick, Whitby, Wiltshire, Cornwall and Bristol. In 2015 Pamela was invited to lead a Development Day for AOTOS (Association of Teachers of Singing) South West on “The Singer Speaks, the Actor Sings” with Lynette Erving, former Head of Voice at BOVTS. 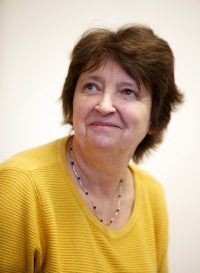 Pamela has conducted many musical theatre shows, most notably “London Road” for BOVTS at Bristol Old Vic, which was nominated for “Best Theatre Production in the South West”. The Sondheim Society invite each drama school to enter the prestigious Stephen Sondheim Student Performer of the Year Competition. In the eight years that Pamela has entered BOVTS students, both students have been Finalists, 12 in all. We have been awarded 3 Runner-Up Prizes and 2 Winners.